Almost a year and a half ago OWOE blogged “What about transportation?” in which we took a brief look at the challenges facing a renewable energy transformation of the transportation industry, which accounts for approximately 30% of US energy use. In what has been a relatively short period, the answer to that question has become much clearer. Let’s take a look at what’s happened since then. 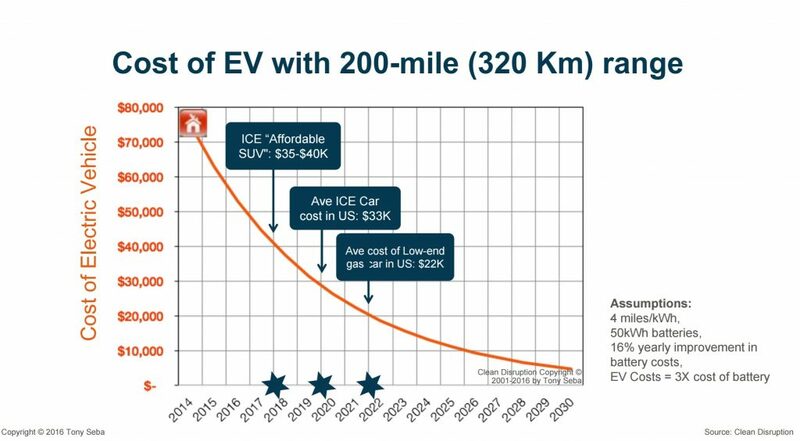 On the demand side, the consumer is rapidly embracing electric vehicles. Although still a small fraction of total vehicles on the road at 0.1% of the global market in 2016, the year-on-year growth in sales is close to 60%. 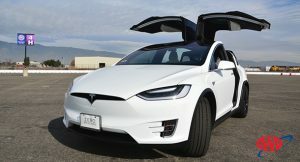 New models are being introduced from all manufacturers, Chevy’s Bolt is getting good reviews, Tesla’s Model S has been called the “best performing car ever tested” by Consumer Reports, and Tesla is on track to start shipments of its highly anticipated mass market Model 3 this year with close to 1/2 million preorders on the books. According to an AAA survey, more than 30 million Americans are likely to buy an electric vehicle for their next car, despite the current low gas prices. 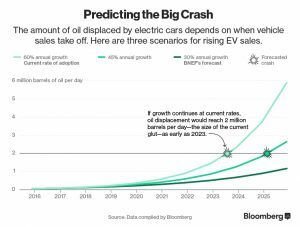 Meanwhile, in advance of this potential exponential growth in electric vehicle sales, large oil consuming countries like the US and China have seen oil demand level off. Throw in hydrogen fueled vehicles such as the new Toyota Mirai, electric buses, ride sharing, autonomous vehicles, etc, and the future doesn’t look bright for “big oil”. On the supply side, OPEC finally realized that their attempt to kill the US shale oil industry had been disastrous for their economies. 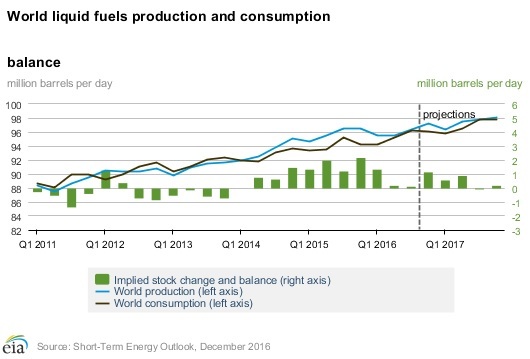 They then re-imposed production quotas to reduce the oil supply glut and firm up prices. It has not gone as anticipated. The world is still awash in oil, prices are still soft, and the US shale industry has roared back through a combination of new technology and cost cutting. Tony Seba from Stanford has been a strong proponent of the rapid transformation of the transportation industry with all the elements of a game-changing disruptive technology at play. If the analogs he quotes are appropriate, the transportation industry of yesterday has only a few more years of relevance. On a similar note, in a February 2016 article, “Here’s How Electric Cars Will Cause the Next Oil Crisis”, Bloomberg predicts EVs will displace 2 million barrels of oil per day in demand as early as the year 2023. Such a glut would be equivalent to that which triggered the oil price collapse of 2014. Exxon/Mobil, the largest privately held oil company in the world, and the oil company at the forefront of climate change denial, appears to be focused on business as usual, except for some PR work in the area of biofuels, i.e., the world will still depend on vehicles that burn organic materials. Shell, the second largest privately held oil company, has made a big shift from oil to natural gas, with the belief that fossil fuel in the form of cleaner burning natural gas will remain in high demand for electrical power generation. Last year they finished acquisition of the BG Group with its worldwide natural gas assets. Shell has also started a New Energies division with focus on renewable and low-carbon power. And they have teamed up with BMW to design the hydrogen refueling station of the future. BP, the third largest privately held oil company, was the oil industry leader in renewable energy in the 80s and 90s, but began abandoning that strategy in 2009. In 2015 it changed course again and started ramping up investment in renewable energy including an expansion in its wind farm portfolio in the US. Total, the fourth largest privately held oil company, has invested heavily into battery manufacturing and solar power. Saudi Arabia, which has the second largest reserves of oil in the world (behind only Venezuela which has predominantly heavy, less desirable crude) and who controls OPEC, is publicly supporting the “oil as usual” policy, but has been quietly investing in solar power for its internal energy needs. Ali Al-Naimi, Saudi Arabia’s former Minister of Petroleum and Mineral Resources, has been quoted as saying: “…planet earth is 4.5 billion years old – all this time, the planet has run quite effectively – on solar power.…It is constant, reliable, and free. Our energy quest today is to utilise solar and other renewable forms of energy. I have no doubt fossil fuels will retain a vital place, but all forms of energy will be required as we go forward.” Saudi Arabia’s strategy seems to be “last man standing”, i.e., when world demand for oil has plummeted, they can be the low cost producer for the remaining demand. Chatham House, an independent policy institute based in London, has warned that international oil companies must transform their business or face a “short, brutal” end within 10 years. In September 2016 OWOE guest blogger S. A. Shelley asked “Did we experience peak oil in 2015, and nobody noticed?” Although a bit tongue-in-cheek at the time, his key points and conclusions appear to be in play 8 months later. If this dramatic transformation to the transportation industry truly happens, not only will it mean the end of “big oil” as we currently know it and a significant positive impact on global climate change, but it will cause a tremendous disruption of world geopolitics. OPEC and other petroleum producing economies will lose the stranglehold they have had on the world economy for half a century. And the foreign currency that drives their economies will dry up, leaving a void that will likely lead to more political instability, more social activism, and more resentment with the developed world. Previous PostCan the United States become Energy Self-Sufficient?Next PostIt’s a Trap!